Love the shape of the bulb. Bright warm light. Just perfect. Though slightly bigger and a different (candle) shape the bulbs were brighter and work well. Pleased with purchase. Price on a much higher side. The Quality of the LED bulb seem far better than the last ones I bought from B&Q and Argos. These bulbs are at least as good as described; supposed to be equal to a 40w mains bulb, but much brighter in my view. I got them and the fittings to replace a couple of failing 8w strip lights in my stables. I wasn't sure if they would throw the light as well as a strip light, but thought they were worth trying. I needn't have worried, they are loads better! So much so, I am going to replace my other lights too, as they are dull by comparison. I did also purchase a 5w bulb to try in case these weren't bright enough, but didn't need it. Very pleased, and they use less power too! 3w 12v LED Light Bulb for use with GEO Lighting Kits. Designed for use with 12v DC Systems. 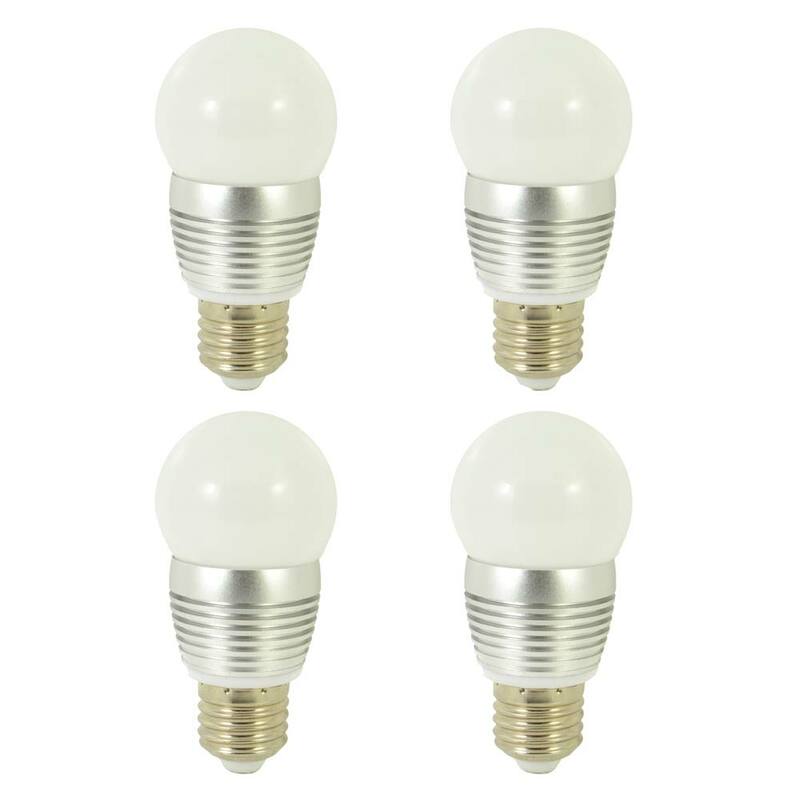 These ES/E27 screw fitting bulbs are ideal for systems that require enough light to work by for long periods of time. The bulb is meant to be the equivalent to a 30w traditional bulb but in our own in house test we have found it to far our perform in terms of brightness our 9w 12v fluorescent bulbs. So not only are these bulb exceptionally bright but they use a third of the power of a fluorescent bulb, are far more robust so less prone to breakages and have a far greater life expectancy. All this and they only use 3 watts of energy per hour they are used. Please could you tell me the overall height and width of the bulb as I need to see if they will fit into a heritage railway carriage desk lamp. I would use two in series on 24volts DC. It is approx 5 x 10cm. We would advise discussing your plan with an electrician as these bulbs are designed to be used in a 12v kit.